The Kelowna Rockets weren't willing to go to the dirty areas and it translated into defeat. Playing primarily a perimeter game, the Rockets were unwilling to fight for secondary chances on goal in a 2-1 loss Friday night to the visiting Prince George Cougars. Despite having a 10-2 advantage in shots after the first period, the Rockets found themselves trailing 1-0 after surrendering their fourth shorthanded goal of the season. Jesse Gabrielle, the WHL Player of the Week, found himself all alone on a breakaway and made a nice backhand move to beat goaltender Jackson Whistle. It appeared as the game went along the Cougars got progressively better and the home team got progressively worse. Head Coach Brad Ralph added on our post game show that the game was lost in the third period. He was right. Down by just a goal with 11 minutes to play, the Rockets didn't play with the same desperation as a Cougars team that has spent a week on the road. The disappointing aspect of the game was the older player's inability to lead the charge in a one goal game. Only Cole Linaker and Rodney Southam were willing to get inside to battle for secondary chances. Linaker's power play goal had him standing three feet in front of the Cougars net and Southam was seen late in the game attempting to chip the puck over the left pad of Prince George goaltender Ty Edmonds in an effort to score the equalizing goal. How many shots were registered from outside the face-off dots? Many. The majority of the shots from Tyson Baillie and Justin Kirkland, arguably two of the team's top four shooters (Dube and Chartier would be the others) were from long range. The game started with a bang with back-to-back fights 28 seconds apart. Cougars defenceman Josh Anderson fought European Tomas Soustal in a lopsided tilt. Let me state, Soustal shouldn't be fighting someone like Anderson. Anderson is experienced and Soustal is not. Choose your battles wisely. Instead Soustal found himself eating Anderson's fist, being knocked to the ice and possibly hitting his head. Soustal never returned to the game. Riley Stadel than fought Colby McAuley in a spirited tilt between two middle weights. Stadel must have hurt his hand because he too never returned. The game winning goal was scored on an ill-advised pass from defenceman Lucas Johansen to d-partner Cal Foote. The puck was intercepted at the Rockets blue line where Aaron Boyd chipped it to line-mate Brogan O'Brien, who skated in on a breakaway and beat Whistle with a similar move used by Gabrielle on the opening goal of the game. The Rockets close out a four game home stand against the surging Lethbridge Hurricanes. No longer a weak sister in the Western Hockey League, the Rockets need to bring a solid game to the arena tonight or they will find themselves with back-to-back losses for the first time this season. Tonight’s Preview: The Kelowna Rockets play game three of a four game home stand tonight when they host the Prince George Cougars. This is the fourth meeting between the two teams in the last two weeks. The Rockets are 2-1-0-0 in the seasonal series, having beaten the Cougars by scores of 6-2 and 5-2. The Cougars won the opening game of the eight game series with a 3-0 victory back on October 16th. Following tonight’s game, these two teams won’t see each other again until January 19th. In other words, the Rockets will have played 30 games before seeing their BC Division cousins. The Rockets are coming off a 3-0 shutout win last Saturday against the Calgary Hitmen. Jackson Whistle earned his 8th career shutout while Kole Lind scored the game winning goal. The Rockets penalty killing unit was terrific going 6 for 6. The Rockets host the high flying Lethbridge Hurricanes tomorrow before opening November with seven of their next ten on the road. That includes three straight games south of the border with stops in Tri City (Tuesday Nov 3rd) and back-to-back games in Portland (Nov 6th and 7th). The Rockets have won three straight and four of their last five overall. Chartier out/Merkley in vs. Russians: Forward Rourke Chartier will not play when Team WHL faces the Russian Selects in the Canada-Russia series November 9th and 10th. Chartier is out with an upper body injury. 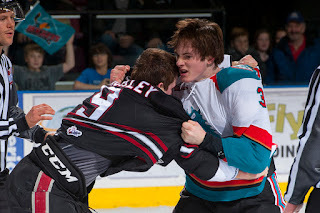 Nick Merkley will play in both games in Kelowna (Nov 9th) and Kamloops (Nov 10th). The games are designed to give Hockey Canada an evaluation of the players they believe should receive an invite to the World Junior main camp in December. Getting Better with Age: Tyson Baillie has eight multiple point games this season. Baillie had 20 multiple point games last season. Baillie has more points (9+14=23) after 13 games than he had after 13 games (10+8=18) last season. Baillie is traditionally a strong starter to the season. Dare to Compare: The Rockets were 12-1-0-0 after 13 games last season. The Rockets are 9-4-0-0 after 13 games this season. The team has scored 53 goals so far this season. Last season after 13 games, the team found the back of the net 68 times. Who’s Hot: Tyson Baillie has 3+8=11 in his last five games…Dillon Dube has 7+4=11 in his last four games and has collected 8 points in his last three games…Dillon Dube has points in seven of ten games this season….Lucas Johansen has as many points this season as he did all of last year…Nick Merkley has five assists in his last four games. Who’s Not: Tomas Soustal hasn’t scored in six straight games. The second year forward had five goals in his first six games of the regular season….Justin Kirkland has one point (a goal) in his last six games…Calvin Thurkauf has one goal in his last six games. Milestone Makers: Rourke Chartier has played 195 career games, which is five short of 200….Cole Linaker plays in his 194th career game tonight which is 6 shy of 200…Nick Merkley has 155 career points.….Merkley is playing in his 149th game which is 1 shy of 150…Riley Stadel is playing in his 199th career game this evening which is one shy of 200…Stadel has 94 career points. This and That: The Rockets have attracted the 5th most fans in the WHL as they close out the month of October. The team has attracted an average of 5,161 fans per game after five home games….In the last five seasons between the Rockets and Cougars, the Rockets have won 28 of the last 35 games between the two teams…The Rockets are 13-4-0-0 in their last 17 home games against the Cougars….Oddly, the Rockets record is better in Prince George with 15 wins in their last 18 appearances at CN Centre…Jackson Whistle has started six of the last eight games…Tyson Baillie has averaged 28 goals over his last three seasons….Rockets rookie defenceman Jonathan Smart is playing for Canada at Under 17 Challenge in Dawson Creek, Fort St. John this weekend….The Rockets reduced their roster October 14th by sending 20 year-old Gage Quinney to the Kamloops Blazers for a third round bantam pick...Riley Stadel has four fighting majors this season. Stadel had eight fighting majors last season….The Rockets next play three games in three nights January 29th, 30th and 31st with two of those three games on home ice….The Rockets had two players taken in the NHL draft. Nick Merkley was taken in the first round by Arizona. Devante Stephens was chosen in the 5th round by Buffalo…Cole Linaker (Oilers), Tomas Soustal (Flames) and Tyson Baillie (Flames) all received free agent tryouts…The Rockets were 3-2-0-0 in five games during the pre-season. The Rockets have a problem.. The Kelowna Rockets clearly have a problem. It is one hockey team's embrace. The defending WHL champions have two solid goaltenders and both are challenging each other to be better. After Michael Herringer was named the first and second star in back-to-back wins over the Prince George Cougars, 20 year-old Jackson Whistle followed Herringer's lead Saturday night in a 3-0 shutout performance over the visiting Calgary Hitmen. Whistle was spectacular, specifically in the second period, when he made 15 saves for his 8th career shutout. Whistle was named the first star as the Rockets improved to 9-4-0-0 on the young season. Combining for three straight wins - the longest winning streak for the team this season - Whistle and Herringer are proving they may be the best goaltending tandem in the Western Hockey League. Whistle was at his best in the second period when the Hitmen were awarded three consecutive power plays. Whistle won't get style points for keeping the puck out of the net, but his never give up approach must have inspired his team-mates, who were clinging to a one goal lead. The only reason the Rockets were headed to the second intermission up 1-0 was the efforts of the veteran goaltender and a shorthanded unit that was committed to blocking shots and keeping the visitors to the outside. The game started as a classic match up between 20 year-old goaltenders Whistle and Hitmen starter Brendan Burke. Burke left the game after the first period after apparently injuring himself when Rockets forward Kole Lind slid into the Arizona Coyotes draft pick while he was attempting to clear the puck to the side boards. Lind clipped Burke's left leg, sending the goaltender crashing to the ice with his mask popping off his head. Burke would play out the period before giving way to Kyle Dumba. Burke did not return to the Hitmen bench for the remainder of the game. The Hitmen's downfall was the power play. It stubbed it's toe on six chances. The Rockets were awarded only two power plays and scored on one when forward Cole Linaker fired the puck into the empty net late in the game to make it 3-0. Tyson Baillie collected two assists and now has 9 points in his last three games. Dillon Dube now has goals in three straight games after scoring his 9th of the season, giving the Rockets a 2-0 lead. Dube has goals in four of his last five games. Dube earned his first career WHL fight when he nailed Hitmen defenceman Travis Sandheim with a high hit, knocking the Philadelphia Flyers first round pick to the ice. Sandheim's twin brother Taylor came over and fought Dube, who was seen bleeding from the lip as he made his way to the penalty box. Joe Gatenby earned his first assist of the season on Linaker's empty net power play goal. Hitmen defenceman Travis Sanheim was sensational. The 19 year-old look every bit a first round NHL draft pick. The veteran was poised with the puck, fired it with authority and played consistently hard over the course of the game. As good as he was in the offensive zone, Sanheim was seen skating hard in his own end after Nick Merkley snuck behind him with the puck on an apparently breakaway. Rather than give up on the play, Sanheim skated back, tying up the skilled forward to eliminate Merkley from getting a shot on goal. The Rockets are now 5-1-0-0 against teams from the Central Division. The only blemish was a 7-4 loss in Red Deer in the teams fifth game of the season. Tonight’s Preview: The Kelowna Rockets face the Prince George Cougars for the third consecutive game. The two teams hooked up for a pair of games last weekend in Prince George, with the Cougars winning last Friday (3-0) before the Rockets came through with a convincing win (6-2) Saturday night. In Saturday’s win, Tyson Baillie recorded five points (2+3=5) and Dillon Dube had a four point night (2+2=4) in the lopsided victory. Michael Herringer was terrific in goal, making 35 saves and was named the first star. The Rockets open their longest home stand of the season tonight against the Cougars. The team will play four consecutive games at Prospera Place, which include a visit from the Calgary Hitmen tomorrow night and Prince George (October 30th) and Lethbridge (October 31st). While eight of the Rockets first 11 games were on the road, six of the teams next 11 are on home ice. Rockets vs. Cougars: These two teams met four times at Prospera Place last season. The Rockets were 2-2-0-0. The Rockets were 4-3 and 5-2 winners while the Cougars managed 4-3 and 5-3 victories. Chartier and Merkley face Russians: Forward Rourke Chartier and Nick Merkley have both been named to the WHL team that will face the Russian Selects in the Subway Super Series. Games will be played November 9th in Kelowna and November 10th in Kamloops. The games are designed to give Hockey Canada an evaluation of the players they believe should receive an invite to the World Junior main camp in December. Getting Better with Age: Tyson Baillie has six multiple point games this season. Baillie had 20 multiple point games last season. Baillie has more points (9+10=19) after 11 games than he had after 11 games (10+6=16) last season. Baillie is traditionally a strong starter to the season. Two seasons ago, Baillie had 14 points (6+8=14) after 11 regular season games. Like fine wine, the overage forward gets better with age. Dare to Compare: The Rockets were 10-1-0-0 after 11 games last season. The Rockets are 7-4-0-0 after 11 games this season. The team has scored 45 goals so far this season. Last season after 11 games, the team found the back of the net 58 times. Number Crunching: The Rockets are 27-7-0-0 in 34 games over the last five seasons against the Cougars. The team is 12-4-0-0 at Prospera Place against the Cougars over the last five seasons. Two of those losses at home came last season when netminder Ty Edmonds was terrific. Who’s Hot: Tyson Baillie has 3+4=7 in his last three games…Dillon Dube has 4+3=7 in his last two games….Tomas Soustal has 6+5=11 this season. The second year forward had 8+10=18 in 65 games last season…Soustal has goals in two of his last five games…Dillon Dube has points in five of eight games this season….Lucas Johansen is one point shy of his career high for points in a season (8) set in his rookie campaign…Nick Merkley has four assists in his last two games. Milestone Makers: Rourke Chartier has played 195 career games, which is five short of 200….Cole Linaker plays in his 192nd career game tonight which is 8 shy of 200…Nick Merkley has 153 career points after two assists Saturday vs. Prince George.….Merkley is playing in his 147th game which is 3 shy of 150…Riley Stadel is playing in his 197th career game this evening which is three shy of 200…Stadel has 94 career points. This and That: The Rockets reduced their roster last Wednesday by sending 20 year-old Gage Quinney to the Kamloops Blazers for a third round bantam pick…Rookie defenceman Jonathan Smart has been selected by Hockey Canada to participate in the 2015 World Under-17 Hockey Challenge in Dawson Creek and Fort St. John October 30th to November 7th...Riley Stadel has four fighting majors this season. Stadel had eight fighting majors last season….The Rockets next play three games in three nights January 29th, 30th and 31st with two of those three games on home ice….The Rockets had two players taken in the NHL draft. Nick Merkley was taken in the first round by Arizona. Devante Stephens was chosen in the 5th round by Buffalo…Cole Linaker (Oilers), Tomas Soustal (Flames) and Tyson Baillie (Flames) all received free agent tryouts…The Rockets were 3-2-0-0 in five games during the pre-season. Brad Ralph celebrating 35th birthday in PG. Last Thursday, WHL teams were required to get down to three 20 year-old's. The Medicine Hat Tigers made the most obvious move by picking up overage goaltender Austin Lotz. The Tigers essentially grabbed Lotz for free after the Everett Silvertips were unable to trade him. Good deal for the Tigers and Lotz, but a bad deal for number one goaltender Nick Schneider. Schneider was signed by the NHL's Calgary Flames this summer. Schneider inked the deal in September as a free agent after falling through the cracks in the NHL draft. Two interesting overage players to watch now that they've switched teams is Swift Current Broncos Jon Martin and Kamloops Blazers forward Gage Quinney. The reason? Both are off to solid starts with their respective teams. Martin is the reigning WHL Player of the Week and is tied for the league lead in scoring with 19 points. Martin, obtained from the Kootenay Ice for a 4th round pick, has 8+7=15 in six games with the Broncos. 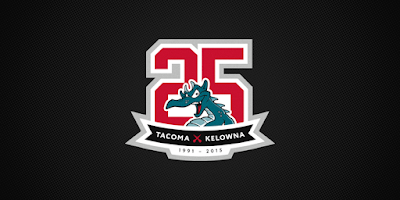 Quinney, who was acquired from the Kelowna Rockets for a 3rd round pick last week, has 4 points in two games with the Blazers and was named the first star in a win Saturday in Spokane. While it is a small body of work, the two GM's that dealt both players away likely squirm just a little bit every time they take a look at the score-sheet and see them making an impact. Celebrating birthdays on the road. It happens regularly over the hockey season. I celebrated by 40th in Kamloops calling a game between the Rockets and the Blazers. 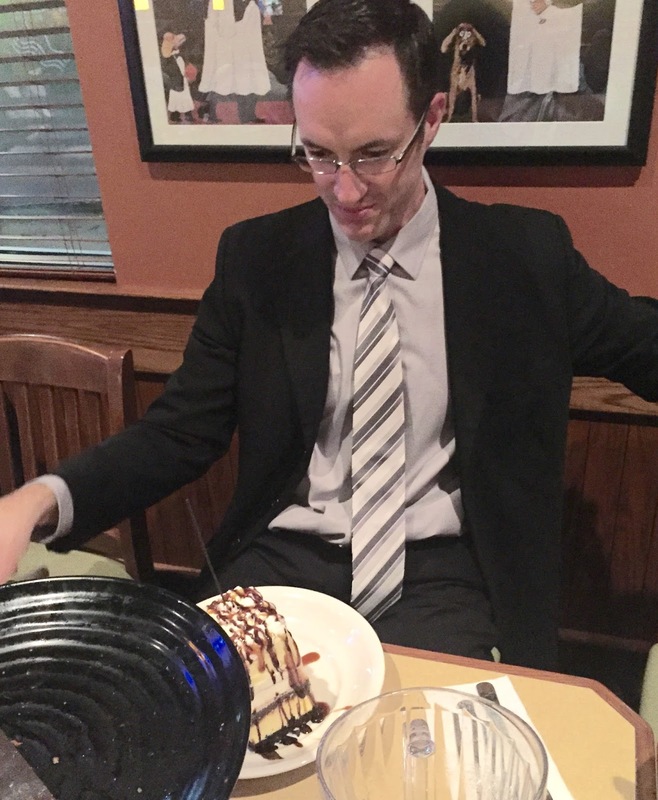 New head coach Brad Ralph celebrated his 35th birthday Saturday night in Prince George. A nice touch by assistant coach Kris Mallette to offer ice cream treats to both Ralph (picture right) and forward Kole Lind, who celebrated his 17th birthday on Friday. Both ice cream treats came with a sparkler on top and team-mates singing 'Happy Birthday' in unison. The best interview of the week came from Kelowna Rockets 20 year-old Cole Linaker. I spoke to him about the Kelowna Rockets finalizing their overage situation which saw him remain in Kelowna with goaltender Jackson Whistle and forward Tyson Baillie. "In the trade market, I definitely probably wouldn't hold the trade value like Quinney because he is a scorer. I am more of a depth player on a team. I would like to consider myself part of the teams successful culture and I hopefully will continue to be a part of it", Linaker added. Mature response from the 20 year-old who is 8 games shy of 200 for his WHL career - all in a Rockets uniform. Kelowna Rockets forward Nick Merkley isn't the only marquee forward who has returned from an NHL training camp and has struggled in the early going. The Kelowna Rockets forward has 1 goal in 8 games and has gone pointless in five of those eight games. Let's cut Merkley some slack though, considering he missed the first three games of the season after sustaining an injury at Coyotes camp. Red Deer Rebels forward Connor Bleackley, a first round pick of the Colorado Avalanche, has just 1 goal in nine games and has gone pointless in five of the nine contests. Last weekend, I had a chance to watch Prince George Cougars forward Jansen Harkins, an early second round pick of the Winnipeg Jets. Harkins, who had 79 points last season, has found the back of the net just once in seven games since returning to the WHL and wasn't the dominating player I anticipated him to be in back-to-back games last weekend. All three are too good not to make an impact this season, but even top end players go through peaks and valleys during a hockey season. Nick Merkley and Rourke Chartier will represent the WHL at the Subway Super Series next month. Games against the Russian Selects will be played November 9th and 10th in Kelowna and Kamloops. Victoria Royals head coach Dave Lowry will be coaching Canada's entry at the World Junior Hockey Championships and says those two games are important for both players. "It used to be a formality that you had to go through. Not anymore. We look at Lawson Crouse and Joe Hicketts, the impact that those two made at the Subway games. They both found a way to get invited to the selection camp and then eventually made our team", Lowry told me earlier this month. Lowry was an assistant coach on Canada's gold medal winning team a year ago. Prince Albert Raiders Head Coach Marc Habscheid rarely cracks a smile on the bench, but the 52 year-old has to be smiling behind closed doors with his teams play. The Raiders have points in nine of 11 games and lead the overall WHL standings with 17 points. Isn't Brandon the top team out East? I would suggest they still are but the Raiders have benefited from two trades made with the Kelowna Rockets last season. Austin Glover (13 points in 11 games) is delivering the mail and 20 year-old Jesse Lees (10 points in 11 games) has made an impact. Mark November 15th on the calender. That is the night the Raiders face the Wheat Kings in Brandon in a clash of possibly the top two teams in the Eastern Conference. I would love to be in the building to see that one. Good on the Raiders from benefiting from that trade with the Rockets. I am sincere with that comment. While Bruno Campese was roasted at the time for dealing Leon Draisaitl and Josh Morrissey to the eventual WHL champions, it looks like former Raiders general manager made a wiser decision than the so called 'experts' had thought. The trade appears to be working for both sides, and isn't that the way it is supposed to work? Does any player smile more than Dillon Dube? The backhand beauty that he scored Saturday night in Prince George should get a good look on the WHL plays of the week. A quick stop in Prince George this weekend has me cheering for the ownership group there. They are doing so many things right. They are offering the players the best experience possible, and while wanting to make a profit, President Greg Pocock and his group isn't scared to spend money to make them a model franchise. Word is the Cougars are looking at buying a new bus. The price tag would be in the neighbourhood of north of 800 grand. Tanner Wishnowski is out four to six weeks with an upper body injury. The Kelowna Rockets forward was hurt Friday in a 3-0 loss to the Prince George Cougars. I won't get into the specific injury, but you can relax. It is not a concussion that essentially sidelined him for the majority of last season. It was arguably the Kelowna Rockets most complete game of the season. Head Coach Brad Ralph got his birthday wish. Before the game, Ralph told me he would like to celebrate his 35th birthday with a win over the Prince George Cougars and his players delivered. Tyson Baillie had two goals and three assists and Dillon Dube had two goals and two assists in the Rockets dominant 6-2 win Saturday night in Prince George. The Rockets out hustled, out hit and were more determined in the road effort. It was a far cry from Friday's 3-0 loss to the Cougars, where the road team looked average at best. Saturday night, they again looked like a team that could defend their WHL title. Baillie could be classified as a 'Cougar Killer'. The 20 year-old has played 28 career games against the Cougars, having scored 17 times and has collected 16 assists over that span. Baillie also scored the teams first shorthanded goal of the season Saturday night, when on the fore check, he niftily knocked the puck off the stick of Cougars defenceman Tate Olson and it trickled past startled Prince George goaltender Ty Edmonds. That goal late in the second period gave the Rockets a 3-0 lead. The smallest details made the biggest difference. The most significant was the Rockets intensity. They played an up tempo game with good energy. More times than not, checks were finished and the visitors initiating contact, something the Cougars won hands down Friday night. Five to seven foot passes were common place in an effort to bring the puck up ice and the forwards specifically, were apt to dump the puck into the offensive zone, rather than skate it in, and hunt down pucks from there. All of those small areas of the game added up to improved play and a less fractured look from up in the broadcast booth. An odd move by the Cougars coaching staff to start the third period. Goaltender Ty Edmonds, the first star Friday night, was pulled from the game for 20 year-old Mack Shield. Up until that point, despite being down 3-0, Edmonds was not a weak spot in the Cougars game. The 19 year-old showed great reflexes and had a sure glove hand. In my opinion, unless Edmonds was injured, it was an example of over coaching. If the move was designed to give the Cougars life or jump start their game, it backfired horribly. The Rockets would score less than two minutes into the third period on a power play and then would get back-to-back goals just eight minutes apart to put the game away. Speaking of goaltending, Michael Herringer was sharp in a 35 save performance. The 19 year-old was given the start after Jackson Whistle had played five consecutive games. Herringer showed excellent rebound control and was nothing short of steady. Herringer was on his way to a shutout before Cougars 20 year-old Chase Witala beat him with a wrist shot through the legs, on the power play, with about 10 minutes left in the game. Herringer would surrender another goal late in the third period when Cougars forward Brad Morrison came in on a breakaway, was stopped on the original shot, but Morrison gobbled up the rebound and beat Herringer with 1:05 remaining in regulation time. The Rockets are now 11-2-0-0 in their last 13 appearances at the CN Centre. The two teams renew acquaintances again on Friday....this time at Prospera Place. Ty Edmonds took a huge step in solidifying his spot as the Prince George Cougars number one goaltender. The 19 year-old made 35 saves in a 3-0 shutout win last night over the Kelowna Rockets. Edmonds saved his best work for the third period when he made several solid stops including two desperation saves on Rockets forward Kole Lind. For his efforts, Edmonds was named the first star. The third period was without a doubt the Rockets best, firing 15 shots at the Cougars net. Several of those quality scoring chances came courtesy of two power play opportunities. While Edmonds was solid in the third period specifically, his counterpart, Jackson Whistle at the other end was equally sharp. Whistle made several big saves in the first period to keep the score 1-0. While I didn't like the opening goal Whistle surrendered from Cougars rookie forward Bartek Bison, you have to look at the grade 'A' scoring chances that he faced and the stops he made to give his team a fighting chance. While the Rockets generated 35 shots at the Cougars net, the number may be a little misleading. In the second period, where Edmonds faced only 8 shots, the only quality opportunity came from forward Cole Linaker. One scoring chance in a 20 minute period simply isn't good enough. The Rockets have been shut out in two of their last three games. I wouldn't have bet at the start of the season that this team would have struggle scoring. I honestly don't think they have problems scoring if they play the right way. The right way is a far cry from how the team played a season ago when, with an elite skill level both among the forwards and the defenceman, they could dictate the play and tempo of the game towards an opponent. That was last season. This is a new year with many of the same players but nowhere near the same skill set. The Rockets were shut out three times in the 2012-2013 season when they failed to find the net three times on the road, with losses in Portland (1-0), Spokane (5-0) and Kamloops (3-0). Rookie Cal Foote earned his first career WHL fighting major when he got involved in a first period scuffle with Cougars forward Colby McAuley. The good news is the Rockets get back in the saddle again tonight against this same Cougars team. Look for Michael Herringer to get the start in goal after Whistle has played in five consecutive games. Tonight’s Preview: The Kelowna Rockets face the Prince George Cougars in a pair of games this weekend. This is the first of eight meetings between the two teams. The Rockets face the Cougars tomorrow night at the CN Centre before meeting next Friday at Prospera Place. In fact, four of the next five games for the Rockets are against their BC Division rivals. The Cougars make a return visit to Kelowna on October 30th. This is the first of two stops in Prince George this season for the defending WHL champions. The team makes another stop February 12th and 13th. The Rockets are coming off a 5-4 win Wednesday night over the Red Deer Rebels. Dillon Dube scored twice and added an assist in the team’s sixth victory of the season. Tyson Baillie, Gordie Ballhorn, Nick Merkley and Cal Foote each had two point games. Jackson Whistle earned the win in goal with the power play going 2 for 4. Number Crunching: The Rockets started last season by opening up the 2014-2015 campaign with two games in Prince George, winning by scores of 7-2 and 8-2. The Rockets were 4-0-0-0 in Prince George last season by out-scored the Cougars 27-9. The Rockets have a record of 10-1-0-0 against the Cougars in their last 11 visits to CN Centre. Who’s Hot: Justin Kirkland has goals in three of his last five games…Kirkland has points in five of his last seven games (3+3=6)…Calvin Thurkauf has goals in three of the last six games and has points in five of his last six games. Thurkauf has 3+4=7 over that stretch…Tomas Soustal has 6+5=11 this season. The second year forward had 8+10=18 in 65 games last season…Soustal has goals in two of his last four games…Dillon Dube has points in five of seven games this season…Tyson Baillie has three-three point games this season. Milestone Makers: Rourke Chartier has played 195 career games, which is five short of 200….Cole Linaker plays in his 191st career game tonight which is 9 shy of 200…Nick Merkley has 151 career points after two assists on Wednesday vs. Red Deer….Merkley is playing in his 145th game which is 5 shy of 150…Riley Stadel is playing in his 195th career game this evening which is five shy of 200…Stadel has 94 career points. This and That: The Rockets reduced their roster Wednesday by sending 20 year-old Gage Quinney to the Kamloops Blazers for a third round bantam pick….Rookie Kole Lind turns 17 today….Head Coach Brad Ralph blows out 35 candles on Saturday…Rookie defenceman Jonathan Smart has been selected by Hockey Canada to participate in the 2015 World Under-17 Hockey Challenge in Dawson Creek and Fort St. John October 30th to November 7th...Riley Stadel has four fighting majors this season. Stadel had eight fighting majors last season….The Rockets next play three games in three nights January 29th, 30th and 31st with two of those three games on home ice…The Rockets play eight of their first 11 games on the road…Baillie‘s goal last Saturday in Red Deer was the 100th of his career….The Rockets had two players taken in the NHL draft. Nick Merkley was taken in the first round by Arizona. Devante Stephens was chosen in the 5th round by Buffalo…Cole Linaker (Oilers), Tomas Soustal (Flames) and Tyson Baillie (Flames) all received free agent tryouts…The Rockets were 3-2-0-0 in five games during the pre-season…The Rockets were shut-out at home last Friday for the first time since February 8/2012 when Seattle beat Kelowna 2-0 at Prospera Place. The team went 117 consecutive home games without being shut-out. New Kids on the Block: The Kelowna Rockets named 34 year-old Brad Ralph as the head coach on August fourth. Ralph took over from Dan Lambert, who resigned at seasons end to take an assistant coaching position with the NHL’s Buffalo Sabres. Ralph is the ninth head coach in Rockets franchise history after leaving the Idaho Steelheads after three seasons in the ECHL. On defense, the team welcomes 16 year-old Cal Foote, the son of former NHL’er Adam Foote. Foote was the team’s second round bantam pick in 2013 and his younger brother Nolan was the Rockets second round pick in this past May’s draft. The Rockets selected 18 year-old Swiss forward Calvin Thurkauf in this summer’s CHL Import draft. Other new faces include rookies Danny Gatenby (Joe’s younger brother) and 18 year-old Gordie Ballhorn, who played last season with the AJHL’s Whitecourt Wolverines. Tonight’s Preview: The Kelowna Rockets close out a quick two game home stand tonight against the Red Deer Rebels. These two teams met 12 days ago in Red Deer with the Rebels earning a 7-4 win. Kole Lind, Justin Kirkland and Tyson Baillie scored in a losing cause while Michael Herringer made 31 saves in the setback. These two teams are meeting three times this season. They close out the seasonal series February 16th at Prospera Place. 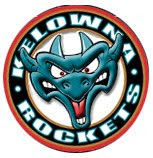 In the last Rebels visited to Kelowna, February 5, 2014, the Rockets earned a 4-3 win. The Rockets had a comfortable 4-0 lead heading into the third period before the visitors rallied back with three-third period goals. Jackson Whistle made 35 saves in the win. Following tonight’s game, the Rockets head to Prince George for back-to-back games this weekend. 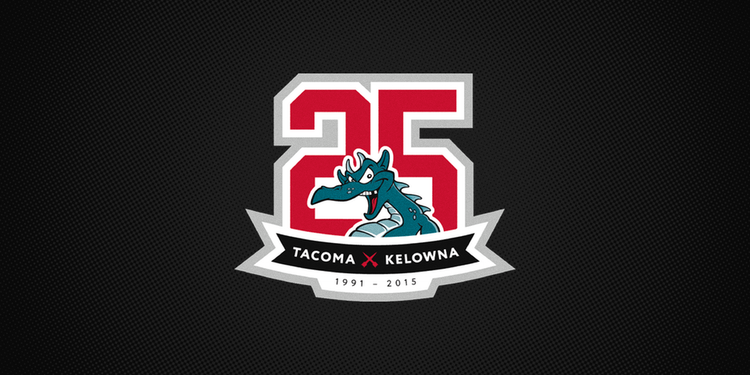 In fact, Kelowna will play four of the next five games against the Cougars. The two teams meet this weekend in Prince George and then renew acquaintances Friday October 23rd back at Prospera Place. The Rockets are coming off a 3-0 loss to Victoria last Friday. Number Crunching: In the last five seasons, the Rockets own an 8-2-0-0 record against the Rebels. The Rockets are 4-1-0-0 over the last five seasons against the Rebels at Prospera Place. Both teams have identical records of 5-3-0-0 and have surrendered ten power play goals against so far this season. Both teams are undefeated when leading after two periods. The Rockets are 3-0-0-0 while the Rebels are 4-0-0-0 after 40 minutes. Who’s Hot: Rookie Justin Kirkland has goals in three of his last four games…Kirkland has points in five of his last six games (3+3=6)…Calvin Thurkauf has goals in three of the last five games and has points in four of his last five games. Thurkauf has 3+3=6 over that stretch…Tomas Soustal has 6+5=11 this season. The second year forward had 8+10=18 in 65 games last season…Soustal has goals in two of his last three games…Dillon Dube has points in four of six games this season…Tyson Baillie has three-three point games this season. Milestone Makers: Rourke Chartier has played 195 career games, which is five short of 200…Dillon Dube played in his 50th career game Tuesday in Medicine Hat….Cole Linaker plays in his 190th career game tonight which is 10 shy of 200…Nick Merkley has 149 points – 1 shy of 150…Merkley is playing in his 144th game which is 6 shy of 150…Riley Stadel is playing in his 194th career game this evening which is six shy of 200…Stadel has 94 career points. This and That: The Rockets are wearing special pink jerseys tonight to help raise funds for breast cancer. The jerseys will be auctioned off with the proceeds going to the Canadian Breast Cancer Foundation…Rookie Kole Lind turns 17 on Friday. Head Coach Brad Ralph blows out 35 candles on Saturday…Rookie defenceman Jonathan Smart has been selected by Hockey Canada to participate in the 2015 World Under-17 Hockey Challenge in Dawson Creek and Fort St. John October 30th to November 7th...Riley Stadel has three fighting majors this season. Stadel had eight fighting majors last season….The Rockets next play three games in three nights January 29th, 30th and 31st with two of those three games on home ice…The Rockets play eight of their first 11 games on the road…Baillie‘s goal last Saturday in Red Deer was the 100th of his career….The Rockets had two players taken in the NHL draft. Nick Merkley was taken in the first round by Arizona. Devante Stephens was chosen in the 5th round by Buffalo…Cole Linaker (Oilers), Tomas Soustal (Flames) and Tyson Baillie (Flames) all received free agent tryouts…The Rockets were 3-2-0-0 in five games during the pre-season…The Rockets were shut-out at home last Friday for the first time since February 8/2012 when Seattle beat Kelowna 2-0 at Prospera Place. The team went 117 consecutive home games without being shut-out. The biggest surprise in the young Western Hockey League season is the upstart Victoria Royals. With seven wins in eight games, the Royals are atop the standings by being opportunistic in the o-zone and playing solid defense. I asked Victoria head coach Dave Lowry about the so called experts, who predicted at the start of the season that his team would struggle. "I think it's a media driven story. A lot of teams do turn over 10 players every year in junior hockey. If you surround the young players with good, quality veterans you are going to win your share of hockey games. We are not going to be as big as we were and maybe not as skilled, but the thing we can control is how hard we work and how hard we compete." It's official. Despite playing forward for a good portion of last season, it appears 19 year-old Riley Stadel will spend this season back on the blue line. "There has been a lot of discussion between the management and the coaches and we've finally decided it would be best for the team for me to play defence. If they need me up front, I will play there. I had a lot of fun playing forward last year, especially with Nick Merkley and Leon Draisaitl," Stadel added. The Lethbridge Hurricanes occasionally win a WHL trade. Oh ya, they've been taken behind the woodshed a few times in trades involving Wheat Kings GM Kelly McCrimmon, but a deal they made with the Red Deer Rebels last December for Brayden Burke is paying off. If you look at the top two scorers in the Western Hockey League, Burke is second with 14 points in six games. I saw Burke last Sunday in the Rockets 5-3 win in Lethbridge and left impressed with his two assist effort playing shotgun with 19 year-old Tyler Wong. Burke still has a lot of tread on his tires too. The Edmonton product, who was a 7th round pick of the Rebels in 2012, could play two more seasons in Lethbridge. If he scores like this though, his time spent in the WHL may be short lived as NHL scouts eye this apparent late bloomer. A rookie defenceman in the WHL has to be mentally strong. Some nights will go brilliantly while other nights you feel like an orange pillion that opposing forwards seem to skate around you with ease. The key for many young d-men is the ability to bounce back after you are on the ice picking the puck out from your own net. A good example last week was Kelowna Rockets Cal Foote. The 16 year was a -4 in a 7-4 loss last Saturday in Red Deer. Instead of having his confidence shattered, Foote went out three night's later and put up a +4 rating in a 6-5 win over the Medicine Hat Tigers. Foote also had a huge pock check on Tigers forward Cole Sanford late in the game with Medicine Hat threatening to score with the goaltender pulled in a one goal game. You always hear coaches say 'you need a short memory'. Foote's bounce back game was impressive to watch. You can count Victoria Royals head coach Dave Lowry as a huge fan of the Toronto Blue Jays. Growing up in Sudbury, Ontario, I had to ask him about his interest in the sport. "I have always been a Blue Jays fan. I had a Domaso Garcia jersey. That was my nickname growing up playing baseball with the guys from within the team. 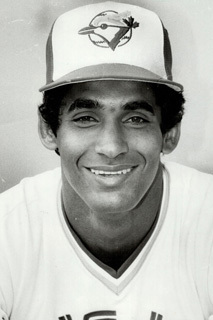 I have always been a huge baseball fan. No word of a lie, my boys are huge fans as well. Growing up, being on the West Coast, they used to come inside in time to watch the Jays game and then go out and play," Lowry added. The schedule maker has a sense of humour. Starting Friday, the Rockets will play the Prince George Cougars in four of their next five games. The Rockets were shut-out at home Saturday night in a 3-0 loss to the Royals. It was the first time the team has failed to hit the score-sheet on home ice since the 2011-2012 season when the Seattle Thunderbirds and Calvin Pickard earned a 2-0 win. Between Pickard's shut-out and Coleman Vollrath's goose egg, the Rockets went 117 home games scoring at least one goal on home ice. Count Kelowna Rockets head coach Brad Ralph among those cheering on the Blue Jays in their quest for a World Series birth. "I was a big fan in the early 90's. I've jumped on the bandwagon since the trade deadline." Ralph was born in Richmond, Ontario, which is located 428 kilometres East of Toronto. It is nice to see former Kelowna Rockets Travis Moen and Vern Fiddler still earning paychecks in the NHL. Moen is now 33 and has played 726 NHL games. Fiddler is 35 and is a linemate of Moen's with the Dallas Stars and has 738 games of National Hockey League experience under his belt. The Prince Albert Raiders organization should be doing cartwheels after the NHL's Buffalo Sabres returned 18 year-old d-man Brendan Guhle back to the WHL team. The second round pick of the Sabres had an impressive camp and will only add to a Raiders team that looks built to be a significant force in the Eastern Conference this season. Guhle was hurt in Sabres camp when he was drilled by Toronto Maple Leafs captain Dion Phaneuf in an NHL pre-season game. The longer Connor McDavid fails to hit the score-sheet, the greater chance Leon Draisaitl's stay in the minors will be short lived. It is believed that McDavid showed the greatest chemistry with Draisaitl during training camp and pre-season. No question Draisaitl is more a passer than a shooter and the former Kelowna Rockets forward has hockey sense that is above average for a player that won't turn 20 for another two weeks. The Victoria Royals may not be the best team in the Western Hockey League yet, but they sure know how to play to their strengths. The visitors played a solid road game last night in a 3-0 shut-out win over the Kelowna Rockets. The Royals weathered the storm early after being dominated in the first 2:03 as the home team buzzed around the Royals net. Rather than panic, they allowed Coleman Vollrath to make saves and slowly pecked their way back into the game by scoring three-third period goals. The Royals are now 6-1-0-0. Not bad for a team that many predicted would be a weak sister in the BC Division this season. The Rockets played mostly a perimeter game in the offensive zone. No one was willing to get inside for secondary chances on Vollrath, who was named the first star with a 26 save performance. The Royals physical defence had something to do with that, not allowing the quick skating Rockets forwards to hang around in front of the veteran goalie. I though Ryan Gagnon, Chaz Redikopp and Joe Hicketts played great games. Those three d-men played a dumbed-down affective game and didn't make high risk plays. All three played physical and made it tough sledding for any opposing forward to get inside. Honestly, it was a rough night for the Rockets top scorers. Tyson Baillie had one good scoring chance in the first-two minutes of the game and never had a solid look after that. Justin Kirkland and Dillon Dube also had significant chances on Vollrath, but those two opportunities came from the face-off circles that Vollrath handled with relative ease. To score last night, the Rockets needed a goal mouth scramble type of goal, but few if any of the forwards were willing to create a scoring chance the old fashioned way. The Rockets were shut-out for the first time at home since February 8, 2012. The Seattle Thunderbirds, led by Calvin Pickard, earned a 2-0 win on that night. Were the Rockets tired? It may have been part of the problem. They just didn't have the jam to fight through checks in order to create scoring chances. They were non physical against what appeared to be a rather physical team, which the Royals traditionally are under head coach Dave Lowry. It was the Rockets fifth game in eight night's and it showed. Despite the negatives, the brightest spot for the Rockets was their play in their own zone. They limited the Royals to a season low 26 shots on net. They did play a cleaner game in their own end, but the visitors aren't exactly gang busters offensively. Two the Royals three goals came from rookie forwards who are 16 and 17 respectively. Who has more fire power between the two teams? The Rockets win by a landslide. But in saying that, who played a more determined game? The Royals did. The first goal saw Victoria rookie forward Ryan Peckford poke a puck past Jackson Whistle while standing right in front of the net with no one wanting to push the 16 year-old out of the way. Then on the power play, 17 year-old Mathew Phillips, the smallest guy on the ice surface at 5 foot 6, wouldn't give up on a puck after being stoned by Whistle's left pad. Instead of quitting on the play, Phillips ended up banking the puck off defenceman Joe Gatenby's leg and into the back of the net to give the Royals a 2-0 lead. That determination by Phillips resulted in a greasy goal....one the Hockey God's often reward. The Rockets played this game without Rourke Chartier. Gage Quinney was again the odd man out among the four 20 year-old's on the roster. The Rockets have the entire weekend off before hosting the Red Deer Rebels Wednesday. Following a quick two game home stand, the 5-3-0-0 Rockets are in Prince George for a pair of games against the Cougars next weekend. Tonight’s Preview: After playing six of their first seven games on the road, the Kelowna Rockets are back at home tonight to face the Victoria Royals. It is a rematch of last season’s second round playoff series between the two teams. The Rockets beat the Royals 4 games to 1. The only win for the Royals was 5-4 in overtime in game four to avoid the sweep. The Rockets won game five with a 7-3 win. This is the first of eight meetings between the two teams. They meet again in Victoria for back-to-back games on November 27th and 28th. After tonight, the Royals are back at Prospera Place January 2nd. These two teams met eight times last season with the Rockets earning a record of 5-3-0-0. The Rockets were 3-1-0-0 at home and 2-2-0-0 on the road. The defending WHL champions are coming off a six game road trip which saw them win four of those six games. The team is coming off a 6-5 win in Medicine Hat Tuesday night. Nick Merkley scored the game winning goal in the third period in the clubs fifth victory of the season. Calvin Thurkauf had a goal and an assist and was named the first star. Jackson Whistle made 33 saves to improve to 4-0-0-0. Following tonight’s game, the Rockets host Red Deer on Wednesday before heading back on the road to face the Prince George Cougars next weekend. Number Crunching: The Rockets and Royals are both undefeated this season when leading after two periods. The Royals are 5-0-0-0 while the Rockets are 3-0-0-0 after 40 minutes….Both these teams have eight power play goals this season….The Rockets have been out-shot in five of their first seven games…The Rockets are 18-11-2-1 in their last five seasons against the Royals. Who’s Hot: Rookie Justin Kirkland is riding a three game goal scoring streak…Kirkland has a five game point streak (3+3=6)…Calvin Thurkauf has goals in three of the last four games and is riding a four game point streak. Thaurkauf has 3+3=6 over that stretch…Tomas Soustal has 6+5=11 this season. The second year forward had 8+10=18 in 65 games last season…Soustal has goals in back-to-back games…Dillon Dube has points in four of five games this season…Tyson Baillie has three-three point games this season…Jackson Whistle is flawless this season with a record of 4-0-0-0. Milestone Makers: Rourke Chartier has played 195 career games, which is five short of 200…Dillon Dube played in his 50th career game Tuesday in Medicine Hat….Cole Linaker played in his 189th career game tonight which is 11 shy of 200…Nick Merkley has 149 points – 1 shy of 150…Merkley is playing in his 143rd game which is 7 shy of 150…Riley Stadel is playing in his 193rd career game this evening which is seven shy of 200…Stadel has 94 career points. This and That: Riley Stadel has three fighting majors this season. Stadel had eight fighting majors last season….Following games against Victoria and Red Deer, the Rockets will face the Prince George Cougars in four of their next five games…The Rockets next play three games in three nights January 29th, 30th and 31st with two of those three games on home ice…The Rockets play eight of their first 11 games on the road…Baillie ‘s goal last Saturday in Red Deer was the 100th of his career….If Baillie stays healthy and plays in every game this season, the 20 year-old will end his career with 331 games under his belt… The Rockets had two players taken in the NHL draft. Nick Merkley was taken in the first round by Arizona. Devante Stephens was chosen in the 5th round by Buffalo…Cole Linaker (Oilers), Tomas Soustal (Flames) and Tyson Baillie (Flames) all received free agent tryouts…The Rockets were 3-2-0-0 in five games during the pre-season. The road isn't an easy place to be for a Western Hockey League team. It requires long hours on the bus, going from hotel to hotel and often getting into bed in the wee hours of the morning. What makes it tolerable is the joy that comes from winning and embracing the small things in life as you pull up stakes and travel from city to city. The Kelowna Rockets enjoyed a rare Monday off in Medicine Hat after a brutal three game in three night Alberta road trip. It featured games in Edmonton, Red Deer and Lethbridge. The trip isn't easy on anyone. Road trips take a toll on the body and the mind and with a young d-core it can be overwhelming. Monday was a reprieve from the hectic schedule which allowed the players to enjoy the beautiful prairie sunshine and the rental mountain bikes that the hotel offered for free. Following Tuesday night's game in Medicine Hat, it will conclude a stretch of six consecutive games on opposition ice. The day off in Medicine Hat consisted of a quick skate at the new home of the Medicine Hat Tigers - the Canalta Centre. It was followed by a Chinese food buffet at a local establishment, much to the delight of the players. Kris Mallette, who handles not only the duties of assistant coach but also as travel coordinator for the team, received many a fist pump from the players who walked by with a plate overflowing with all of the goodness that a Chinese buffet offers. Mallette does a bang up job with the meals. Sometimes I wonder if the players take it for granted. I for one, do not. The Canalta Centre is nothing short of spectacular. It is hard to imagine that it is located in Medicine Hat, considering the city of 61 thousand has had its junior hockey team play out of the antiquated, yet historically filled Medicine Hat Arena since 1970. The Canalta Centre, located on the Western outskirts of the city is massive. Seating 61 hundred fans, the 75 million dollar building is state of the art. The video score-clock alone is worth 2.5 million dollars. It is essentially 50% larger than the Medicine Hat Arena with massive 52 foot ceilings that make you look up in amazement. The Tigers home dressing room is not complete, so they are using the visitors dressing room for this season. The visiting team, which is the Rockets in this case, use an expandable dressing room which is opposite of where the benches on the ice are located. The first event in the new building was a concert features the Canadian Tenors on September 23rd. The Tigers held their home opener in the new building three days later. Note worthy performances on this trip include a fight 19 year-old Rodney Southam had with Red Deer Rebels forward Evan Polei Saturday night. It wasn't the fact that Southam dominated the fight, which he didn't, but he had the will to get his nose dirty and drop the gloves with arguably one of the toughest players in the Eastern Conference. Polei is in the heavy weight category. Southam is not. Polei's fight card included two tilts with Keegan Kanzig last season and tussles with Taylor Crunk and Mason Geertsen. Southam is a warrior and is a tremendous teammate. He appears to be respected and liked by all of his team-mates. When you see him answer the bell, is it plausible that he should be considering as the captain this season? He is a very inspiring player to watch because he exudes 'team player'. Jeff Truitt is looking forward to May when the Red Deer Rebels host the 2016 Master Card Memorial Cup. Truitt was an assistant coach with the Kelowna Rockets when they hosted the 2004 Memorial Cup in Kelowna. "We told the players that we are not going to talk about it. We want to go through the front door and progress. We want to win the division, the conference and the league. We have to stay focused and the older group we do have, they handle it very well", Truitt told me Saturday night. Truitt, an associate coach with the Rebels, says the key is providing a formidable host when the puck drops in late May. "This is a once in a life time thing to host. You don't want to be an embarrassment when you are out of the playoffs early or go 0 and 4 at the tournament. We like the group we have now and we will see where it goes". You will want to watch the WHL plays of the week for a massive save goaltender Michael Herringer made Saturday night against Red Deer. Out of position and essentially down and out, Herringer dove across the net and took away a sure goal from Rebels forward Presten Kopeck with a tremendous glove hand grab. Kopeck couldn't believe it, nor the 55 hundred fans in attendance. I hope it makes the plays of the week. It deserves that form of recognition. With a 4-2-0-0 record, let's remember the Rockets didn't play with it's entire line-up until Sunday in Lethbridge. Jackson Whistle came back from a three game injury. Dillon Dube was back from a two game suspension. Nick Merkey, who missed the first three games of the season with an injury suffered in Coyotes camp, was out when Whistle and Dube were healthy. Now that new head coach Brad Ralph has every weapon to work with, let's see what the defending WHL champions can do. Peter Anholt is a former head coach of the Kelowna Rockets. 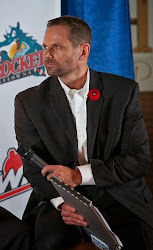 Anholt, now the GM of the Lethbridge Hurricanes, spent some time with me Sunday to reflect on his two year stint with the Rockets organization in the mid 90's. Anholt remembers coaching a young 17 year-old defenceman by the name of Kris Mallette. "He was one of the crew of tough guys we had. He was a hard worker and he made our team because he was a hard worker and a good team guy. We matched Kris and Karel Betik head to head against the Hossa line in Portland and both did a real good job against a good team. I know Portland didn't want to play us at all in the playoffs. I was told later that they threw their last game so they didn't have to play us. You always have certain players that bring a smile to your face when their name is mentioned and Kris is one of those players". I liked a conversation I had Monday with rookie defenceman Gordie Ballmore. Knowing little about his personality before our interview, the 18 year-old is well spoken and appears to be a great addition to the team. He too is experiencing a steep learning curve in his first season in the WHL. 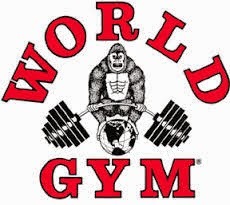 "It pushes you to be better when you are playing the best of the best. You have guys that could play in the NHL next season, so it pushes you to stop them and it makes you play better". Who was the last Kelowna Rockets player with the first name Gordie? No one. Geordie Wudrick played with the Rockets but no Gordie has ever worn a Rockets uniform. Eight days off. No game action. No pre-game skate. No problem for veteran goaltender Jackson Whistle. The 20 year-old didn't miss a beat Sunday night in a 6-3 win in Lethbridge. Whistle, who was hurt last Saturday in Kamloops and missed three games with an injury, was named the first star in the three goal win. Whistle's best save came against forward Tyler Wong in the second period when he went old school, stacking his pads, robbing the Hurricanes most dangerous player of a goal. Whistle is now 3-0-0-0 to start the season. Tyson Baillie continues to score. The overage forward found the back of the net with a first period power play goal to give the visitors a 1-0 lead. Baillie now leads the WHL in scoring with 6+6=12. The second period has been a concern for the Rockets in the early stages of the 2015-2016 campaign. The team has surrendered 24 goals in the first six games, with 14 of them coming in the second period. Despite a 3-0 second period lead against the Hurricanes Sunday night, the Rockets would surrender back-to-back power play goals and enjoyed only a one goal advantage heading into the final 20 minutes. Gage Quinney is making some noise in the conversation on who and who shouldn't be the three 20 year-old's on the team this season. Quinney scored twice Sunday night while Cole Linaker was a scratch. Quinney now has 7 points in five games. Linaker has three points in four games. Tomas Soustal continues to impress. The second year forward had another three point night and now has ten points in five games. The Czech forward had just 18 points in 65 games last season. Despite the win, it is hard to believe that both Rourke Chartier and Nick Merkley were again both held off the score-sheet for a second straight night. Last season those two had the luxury of playing with Tyrell Goulbourne. While some would suggest Goulbourne had little impact on that line, it now appears it was the 20 year-old's hard nosed play that gave Chartier and Merkley the room they needed to make plays. Playing three games in three night's on back-to-back weekends is never easy. When it was all said and done, winning four times over that stretch is pretty impressive. The Rockets are 4-2-0-0 after six games. Last season they were 6-0-0-0 after six games. Tonight’s Preview: The Kelowna Rockets open an Alberta road trip tonight with a stop in Edmonton to face the Oil Kings. The team plays Red Deer tomorrow, Lethbridge on Sunday and Medicine Hat on Tuesday. This is the third of six straight games on the road for the Rockets, who opened the season with a 4-3 home ice win over the Kamloops Blazers. This is one of only two meetings between the two teams; with the Oil Kings make a lone visit to Prospera Place on November 20th. Last season the Rockets played in Edmonton twice, winning 4-1 on December 16th before suffering a shootout loss January 28th. Jake Morrissey was named the third star in that game. The defending WHL champions play eight of their first 11 games on the road. 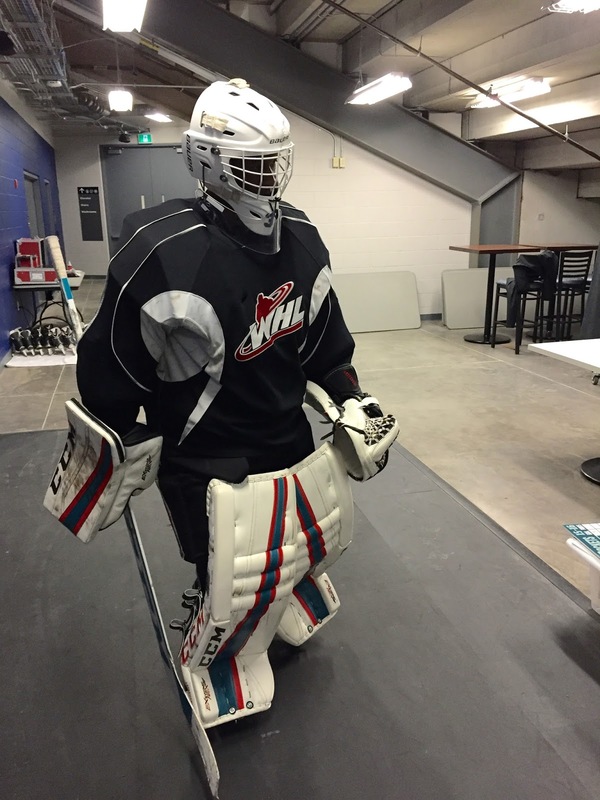 This and That: Backing up Kelowna Rockets starting goaltender Michael Herringer tonight against the Oil Kings is 15 year-old James Porter JR. Porter JR plays in Calgary with the Edge School Prep Team. Porter, who hails from Bonners Ferry, Idaho was the Rockets 7th round pick from the 2015 WHL bantam draft…Veteran goalie Jackson Whistle, who was injured last Saturday when he was hit in the throat with a stick against Kamloops, is expected to join the team on this trip….Nick Merkley makes his 2015-2016 regular season debut tonight in Edmonton after missing the first three games with an upper body injury…Dillon Dube won’t play tonight or Saturday after being suspended two games for a kneeing incident last Sunday in Vancouver….Tyson Baillie has 7 points in three games. The19 year-old (doesn’t turn 20 until November 16) has 4+3=7 over that period.…Baillie opened last season with goals in six straight games….Baillie has 99 career goals….If Baillie stays healthy and plays in every game this season, the 20 year-old will end his career with 331 games under his belt… The Rockets were kicked out of the CHL Top 10 rankings this week after being rated fourth heading into the season. The Rockets are an ‘honourable mention’ in this week’s rankings…The Rockets had two players taken in the NHL draft. Nick Merkley was taken in the first round by Arizona. Devante Stephens was chosen in the 5th round by Buffalo…Cole Linaker (Oilers), Tomas Soustal (Flames) and Tyson Baillie (Flames) all received free agent tryouts…Dillon Dube (3+3=6) and Kole Lind (1+5=6) led the team in pre-season scoring…The Rockets were 3-2-0-0 in five games during the pre-season…The team plays three games in three nights four times this season but twice in the first two weekends…In the last three seasons, the Rockets have a combined regular season record of 162-40-8-6 in 216 games. Portland is next with a mark of 154-48-5-9 over that same period. My memory is good, just short: For a third straight season the Rockets won 50+ games. With a record of 53-13-5-1, the team accumulated 112 points, two fewer than the regular season champion Brandon Wheat Kings. The Rockets won 26 times on home ice and a league high 27 times on the road. The Rockets were one of only two teams to score 300 or more goals (305) with Brandon leading the way with 340. Lost in the team’s successes last season was allowing a league low 183 goals against. Is a repeat in the cards? The Rockets return their top three point producers from last season. Nick Merkley (90 pts), Rourke Chartier (82 pts), and Tyson Baillie (76 pts) are all back with the team. Merkley was taken in the first round of this summer’s NHL draft by the Arizona Coyotes while he and fellow teammate Chartier both attended Team Canada’s summer camp for the upcoming World Junior Hockey Championships. Baillie received a free agent tryout with the NHL’s Calgary Flames. Jackson Whistle, who played in 50 regular season games and posted a goals against average of 2.55, is back for his 20 year-old season. Whistle suited up for the Vancouver Canucks for a second consecutive season in the Young Stars Classic in Penticton. The hockey club returns 15 players from last season’s championship squad. Significant off-season losses: Winning a WHL title with an older team means the hockey club lost seven players and a coach following an appearance in the Memorial Cup final in Quebec City. Moving on to pro hockey are Leon Draisaitl, Josh Morrissey, Cole Martin, Chance Braid, Tyrell Goulbourne and Captain Madison Bowey. Defenceman Mitch Wheaton was traded to the Saskatoon Blades in the off season and head coach Dan Lambert resigned July 6th to take a job in the NHL.